I know a lot of people are squeamish about offal but I love them. 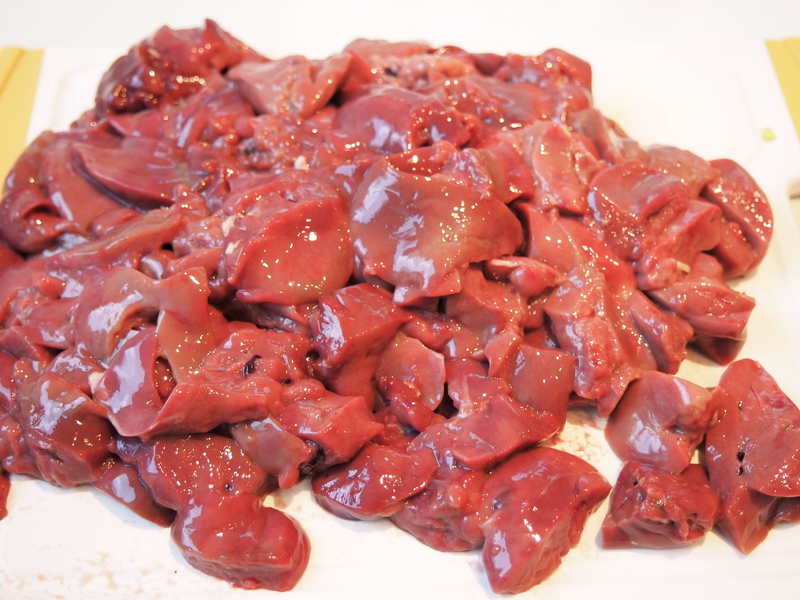 The strange thing is that most people who confess a dislike of offal have never tried them which is such a shame as if they’re cooked properly they can be so delicious. 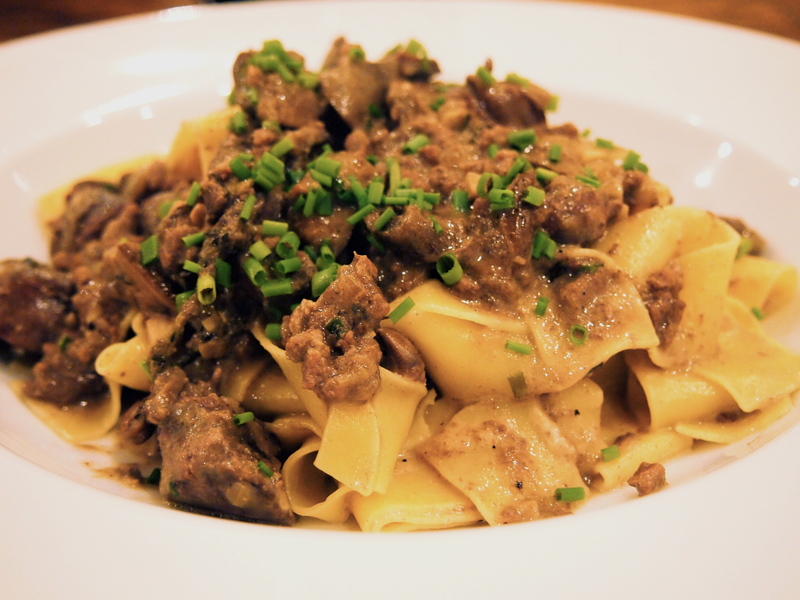 Fans of chicken livers will love this dish but if you’re a novice to the world of offal then chicken livers are a great place to start. Most of us have eaten them in the form of pâté so there’s already a sense of familiarity with the taste and I don’t think their flavour is as intense as say kidneys or beef liver. 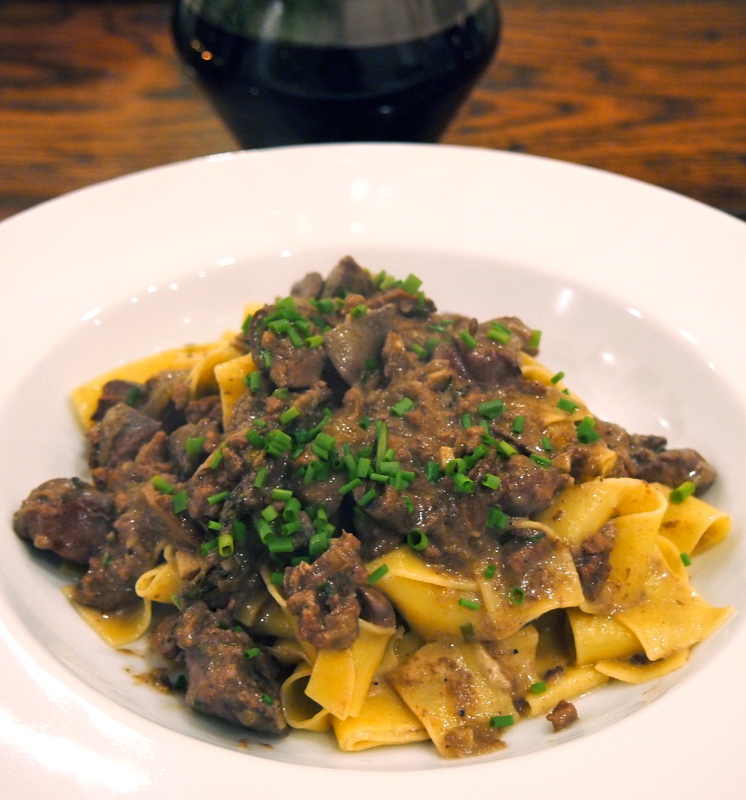 This ragu is rich and earthy with the porcini adding a delicious woody element. The addition of a small amount of cream mellows out the intense flavours and gives a lovely silkiness to the sauce . I like to keep the chicken livers chunky but you can certainly dice them smaller if you wish. 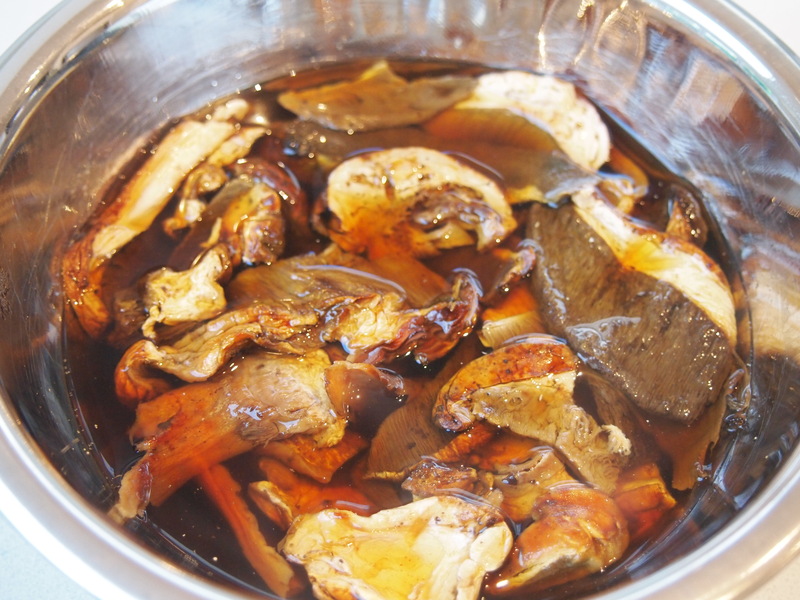 Put the porcini mushrooms in a small bowl and add the boiling water, leave to soak. 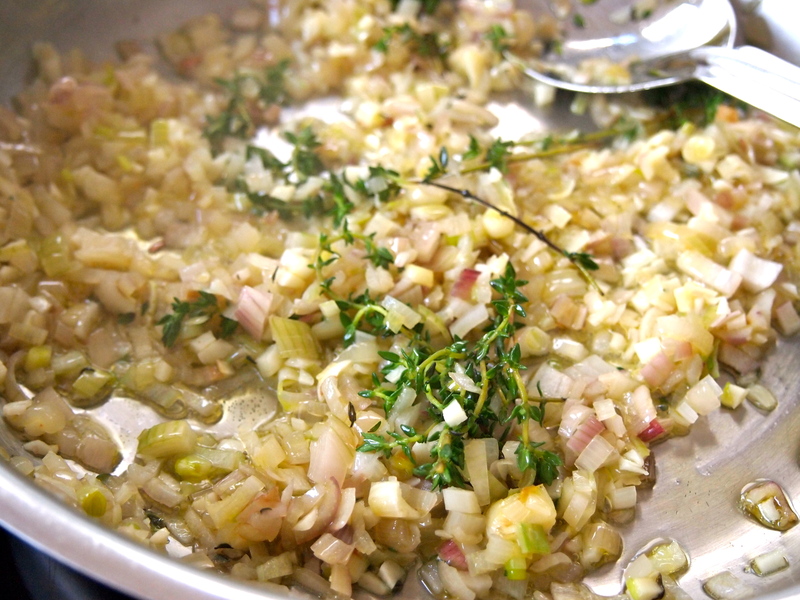 Heat a skillet or sauté pan over medium heat and add a good glug of olive oil. Add the eschalots, garlic, thyme and a pinch of salt and cook, stirring now and then, for about 5 minutes until soft and translucent. 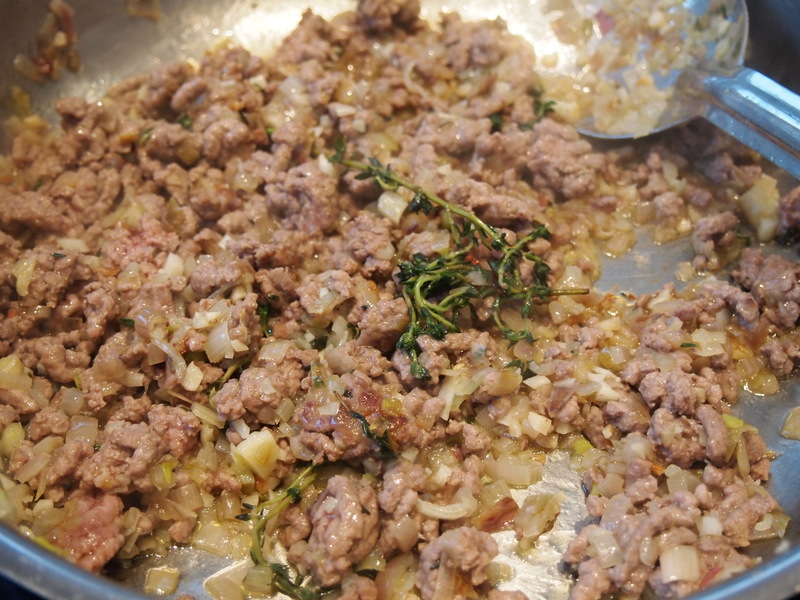 Add the minced veal, breaking it up with a spoon, and cook until no longer pink. 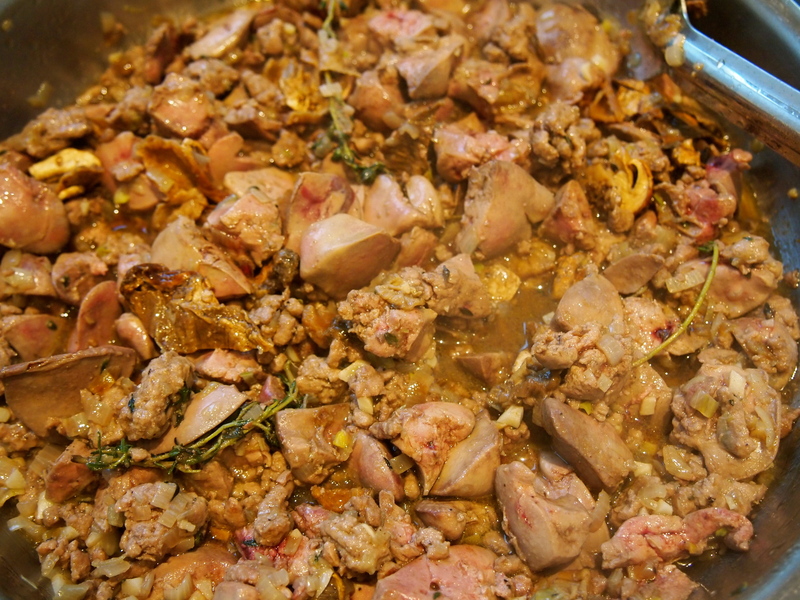 Add the diced chicken livers; increase the heat a little and cook until the livers are just seared, don’t over cook them at this stage. Drain the porcini mushrooms and roughly dice; reserve the soaking liquid. 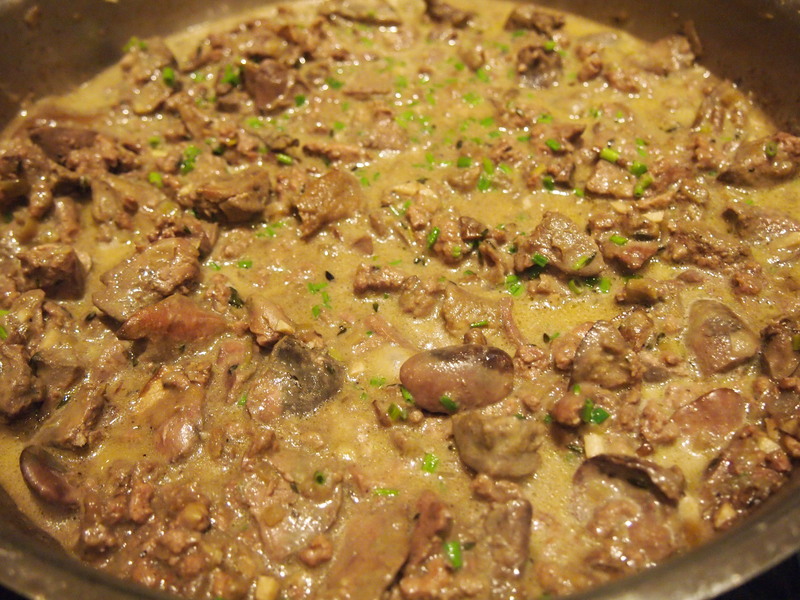 Add the mushrooms to the livers along with another pinch of salt and a generous amount of black pepper and cook for another couple of minutes. Using a fine sieve to catch any sediment add the soaking liquid from the mushrooms to the sauce and bring to a simmer. Cover the pan and lower the heat and cook for 15 minutes. Add the cream and half the chives and bring back to a simmer. Cook uncovered for a few more minutes. If your sauce is too dry add a little bit of boiling water and if it’s too runny cook uncovered for a little longer. Check the seasoning and adjust if necessary. To serve bring a large pan of salted water to the boil. Cook the pasta and drain. Pour the pasta back into the pan and add the butter along with a few large spoonfuls of ragu. Mix the butter and sauce through the pasta until the butter has melted and place into bowls; top with more ragu, some parmesan and a sprinkling of chives.